"The sheer unremitting oppression of corporate life has surely never been so sharply and pitilessly depicted as in Tamara West's searing book. West has chosen to tell her tale - based on reality - in the form of mostly short chapters. The workplace scenario builds with the descriptions of the sadistic manipulations of her immediate line manager and the ineffectiveness of the workplace in dealing with this. By the middle - in a last effort to "shake out of it" the heroine goes on holiday. Up until this point, her life has been normal and the relatively slow pace of the first half of the book depicts over two years the slow, subtle but remorseless build up of the workplace intimidation of Rebecca. After this, the reader is thrown vividly into the emotional turmoil of events which last 5 years but seem to happen at breakneck speed. Even the meanest most unreconstructed practitioner of corporate "laddism" will find it difficult to read through the pitilessly accurate sober dialogue as West's heroine, despite her strong character, is filleted by the power structures and male cronyism of her corporate employer. There were such painful moments in the book - painful because they were so accurate and mercilessly observed and recorded - that I had to put it down. Despite the chick-lit trappings this is a very serious and remorselessly targeted novel. By the end it has emerged from a colourful description - picaresque within the restricted spectrum of permitted corporate types - to depict the individual pitted against the system with a classic bitter sweet triumph. An acerbic description of the incompetence, illegality and amorality of "Human Resources" (the current term for what used to be called "Personnel" - but which should more simply be called "staff company relations") will strike a chord with anyone who has worked in large companies. Nor is this novel at all one that will only appeal to women. Everyone will recognise the irrational authoritarian elements associated with management abuse. This book deserves recognition from trade unions among others." "Any target of workplace bullying needs as much support and information as he/she can get to survive the ordeal. A Woman of Valour shows to what extent a target's life can be affected, causing sadness, anxiety and depression but also the onset of physical illness, disruption within family relationships and financial hardship, all against the background of continuing to carry out tasks within the workplace under terrible constraints. This is a hard story to read as those who have suffered bullying will identify with so many aspects of Rebecca's massive legal and personal crusade including the closing of ranks of former colleagues against her with just a few loyal friends/colleagues remaining. However, the feeling of gradual empowerment of Rebecca as she fights for justice despite huge sacrifices will give some hope to any person currently the target of workplace bullying." "This was the best read I have had in a very long time - I could not put it down, so much so I finished it at 4am and want to read it again! I could so relate to the events unfolding chapter by chapter. The Author has written in a way that leaves you needing to turn another page and another - well done Tamara West - I look forward to the next novel ." "Tamara West exposes, based on a real life event, the hypocrisies and double-standards in the workplace around the potent issue of bullying. Mechanisms allegedly for protecting employees are flouted and manipulated leaving the protagonist unsafe and unheard. The author catalogues the emotional and psychological unravelling of a strong character who has the courage to confront the obstacles presented and is thwarted at every turn. She astutely illuminates the various sub-texts that render her powerless. A book that throws light in an immediate style on a serious issue." 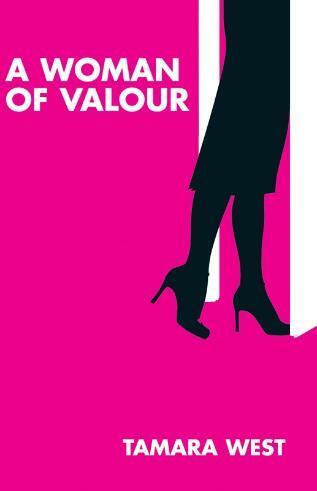 "Although fictional this book gives a good insight into bullying at work. The book encourages you to think of what's actually contemplated as bullying, how often it actually occurs and whether you would do the same as Rebecca in the book under such circumstances. The very short chapters keep you wanting to read on to the next saga of which there were plenty." "This book is a page turner. Every woman who has been in the workplace should read this. It is soooo true! I read the book in one session on a nine hour flight. Could not put it down! The characters come alive and I found myself feeling angry along with the main character and thoroughly disliking her tormentor." "The knowledge and sensitivity that Tamara West brings to this tale of workplace bullying can only be delivered by someone with first hand experience. This is my favourite kind of reading, where fiction and fact are in equal marriage and we are entertained by a gripping story whilst learning something in the process. Tamara West has done a great job. Highly recommended!" "West's novel is both heartbreaking and strengthening...her writing takes you through her roller coaster of emotions as a working mom who needs to endure a cruel boss at work. Unlike a memoir, this book takes the reader through the events as if West was reliving her past. This book will make an interesting read, and is easily relatable for anyone who has struggled through any hardship."